US President Donald Trump and North Korean leader Kim Jong-un will meet in Vietnam this week to discuss on the North’s denuclearisation. February 27-28 will see President Donald Trump and Chairman Kim Jong-un meet in the World Heritage Site hub of Da Nang, Vietnam. The second of two summits, this meeting is considered a follow-up to last year’s signing of a Joint Statement between the two leaders in Singapore. The upcoming meeting is expected to embody an assessment of the progress made since then. In the lead up, one discussion topic that has emerged is the apparent consideration of an exchange of liaison personnel to establish mutual diplomatic offices, an important step toward normalising relations. 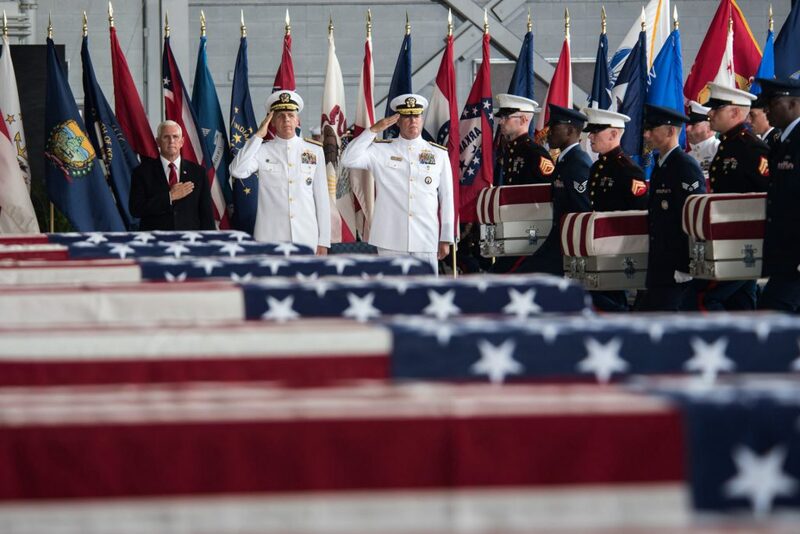 Reports have also noted that significant headway has been made towards an agreement for the recovery and repatriation of the remains of soldiers who fell in the Korean War. However, much to the Trump administration’s dismay, in virtually every other domain there has been little sign of any other progress, particularly concerning the North’s commitment to “complete denuclearisation”. With the two parties unable to find even a mutually agreeable definition, US interlocutors now appear to be searching for other levers from which to promote a positive outcome for one of Trump’s signature foreign policy initiatives. An about-face from 2017’s “fire and fury” rhetoric, Trump recently signalled via Twitter his willingness to support the North’s economic development under Kim’s continued leadership. While this proposal may become the foundation for renewed bargaining on denuclearsation, it is almost certain to fail. The North’s nuclear arsenal guarantees the Kim regime’s survival while equally ensuring the US remains at the bargaining table. As such, to divert attention from the North’s self-declared nuclear victory in November 2017, the summit will broadcast the present state of peaceful relations as a key success of Trump’s attempt at summitry. 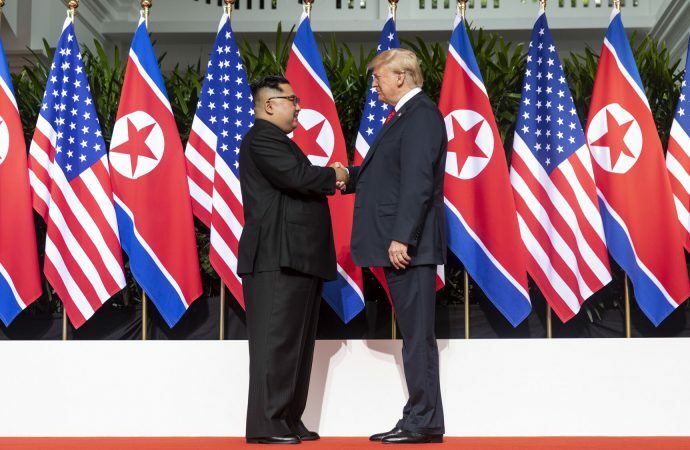 Following the intense US-North Korean hostility that characterised Trump’s first year in office, international observers reacted with astonishment as Washington and Pyongyang managed to promote a successful de-escalation process. The amicable climate the two leaders seemingly produced has therefore represented the most fundamental pillar facilitating ongoing diplomatic efforts. If all goes well, by the end of the summit there will have been 457 days without any new North Korean ballistic missile launches or nuclear tests. If the trend is sustained, by the end of Trump’s first term this could reach as many as 1,149 days, which would be the longest hiatus in bellicosity since the 1,014 days leading up the failed launch of the Kwangmyŏngsŏng-3 satellite in 2012. Yet though Trump may seek to claim credit for the emerging détente, the underlying status quo has been altered more by Kim’s confidence in the development of his country’s capability to target the US mainland with nuclear-tipped missiles. Further missile tests have ultimately proven unnecessary given the confirmed capabilities of the North’s current arsenal of Hwasong-15s. Subsequent political windfalls, including the massive diplomatic capital accrued to Kim following the Singapore summit, have therefore provided North Korea with more than enough incentive to hold-out on acquiescing to Trump’s denuclearisation demands. With the prospect of denuclearisation and regime change apparently out of reach, economic integration would appear then to be the only remaining avenue to promote improved US-North Korea relations. While detrimental to US national interests, which would otherwise seek to punish the rogue state for its nuclear activity, economic cooperation to sustain the current climate of amiability is likely developing into an ever more appealing avenue for Trump — the idea has also been touted by Fox News. Much of this analysis is necessarily speculative as the outcomes of any of Trump’s overseas excursions are largely unpredictable. As Democratic congressman and member of the US House Armed Services Committee Rep. John Garamendi stated a week ahead of the summit, “God knows what he’ll give away”. The main priority of Trump’s trip to Da Nang ought to be ensuring that the unequivocal nature of the US nuclear deterrence is communicated to the North, in the interest of mitigating against the unpredictability of Trump’s bargaining strategies. On the subject of economic cooperation however, the North’s historic engagement with the various manifestations of US summitry and South Korean ‘Sunshine’ policies indicates that their response would likely be entirely predictable. Regardless of the current US administration’s opinion, North Korea has a record for reneging on international agreements. In the event engagement is sustained, expect the North to pursue a self-help mindset before, if ever, agreeing to cooperation in earnest. The authoritarian governance structure of Kim’s regime further implies that any wealth generated through growth or aid would be reallocated rather than reinvested. Development of more advanced weapons systems and the consolidation of the Kim family’s rule — by enriching its loyal supporters — are more likely to be observed before the fruits of growth flow to the North Korean people. Even with substantial reform commitments to impede the misuse of funds, Trump will face challenging obstacles in convincing a broader coalition to lend their support. Most notable would be the reaction from Japan; the prospect of aiding the long-time adversary’s development would be strategically untenable for Tokyo. Japanese Prime Minister Shinzo Abe has, for instance, requested Trump bring up the issue of North Korea’s abductions of Japanese nationals during his summit with Kim, a topic that illustrates the deep fissures still present in the Japan-North Korea relationship. Furthermore, an economic integration policy would run counter to the decades long sanctions regime instituted through the United Nations, revocation of which would invoke serious repercussions for the reputation of the liberal, “rules-based” world order. Given Trump’s own record regarding traditional alliances and international institutions however, it may not come as a surprise if the president opts to go down this path. Regardless, by lending diplomatic legitimacy to the Kim family’s rule, Trump has aided Pyongyang both internationally and domestically as it emerges into a space of enhanced strength and capability. Furthermore, the abandonment of the US’s core normative position has damaged Washington’s strategic credibility, generating uncertainty among allies and weakening the operation of East Asian post-war security paradigms. Last but not least, the floating of economic integration is certain to embolden North Korea’s partners abroad, and open the door to eased sanctions and the definitive transition of North Korea from international pariah to an authoritative member of the world’s exclusive nuclear club.